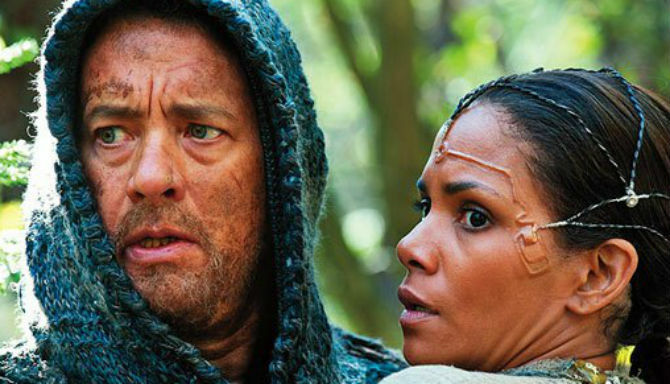 According to Entertainment Weekly, the Wachowskis are bringing 'Cloud Atlas' to the big screen. 'Cloud Atlas' is David Mitchell's brainy scifi novel about six intersecting storylines set over 1,000 years. The material is amazing so hopefully the Wachowskis won't mess it up. Yes, the original 'Matrix' was brilliant, but the subsequent sequels were awful. Hated them. The only redeeming factor in 'The Matrix Reloaded' was the doublemint twins. Tom Tykwer ('Run Lola Run') is a co-writer on the project and will hopefully reign them in. So far things are looking good, especially with an all-star cast, including Tom Hanks, Halle Berry, Jim Broadbent, and Ben Whishaw. Sounds interesting! And I confess, I liked the sequels. Weren't necessary, but they were fun. I think this film should be very interesting and while my enthusiasm for The Matrix dimmed with each sequel, they weren't too bad. Let's hope they don't as you say, Matrix was good but then it got Hollywoodised. Still Jim Broadbent is always worth watching. Fingers crossed. Alex-- Ha, I guess. I just hated that the Wachowski's ruined a good thing. Now had the sequels been better...that'd be a different story. TonyFcknAllen-- I guess I just felt like they didn't put nearly as much thought into the sequels. The original film was so brilliant, the sequels just couldn't live up to it. Melissa-- Yes, I'm looking forward to this film. It looks really interesting. Paul-- Thanks. I think that's exactly what I was trying to say, the sequels got "hollywood-ified," which is something I hate.